Last week, I posted about a couple lots and items sold at auction which I was sad to have missed. 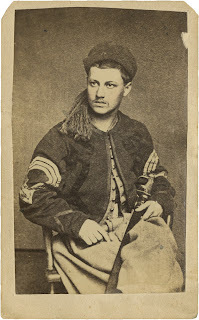 Much to my surprise and pleasure, I was contacted by the new owner, John Mulcahy, of the photograph and diary of Capt. Emanuel D. Roath, Company E, 107th Pennsylvania. John is a direct descendant of Roath, and purchased the items to preserve family history. This post is based on some of the information he graciously shared with me, as well as other resources on Roath. Few men in the annals of Lancaster's Civil War history better represent what it meant to lead a Civil War company than Emanuel Dyer Roath. Holding the rank of captain did not just mean leading a group of men in battle, but it also meant having sufficient standing in the community to recruit, sending letters (and relics) to the hometown newspaper, urging soldiers and civilians to support the war politically, and even experiencing a little bit of officer politics. His first letter appearing in the Weekly Mariettian was to thank the ladies of Marietta for their Valentine's Day contribution of fifty-one pairs of mittens and other useful items. The company's resolution made sure to state, "That if the young men (those able to leave their business,) were inspired with half the patriotism of woman, they would cheerfully join the army of the Union, so they would never be placed under the painful blush of cowardice, when in the presence of a patriotic lady." At Gettysburg, Roath's regiment stood along Oak Ridge with the First Corps as it tried to buy time on the battle's first day. After the regiment's commanding officer was wounded, Roath took command of the regiment's few remaining men for the rest of the battle, most notably leading them while on Cemetery Hill during Pickett's Charge. Roath wrote a long and interesting letter two months after the battle for publication in the Mariettian [10/10/1863]. Its contents include the regiment's actions during and after Gettysburg, the Union party ticket for the 1863 elections, and the joy which the wounded men of the Second Division, First Corps, felt when they learned that the Patriot Daughters of Lancaster would be tending to their hospital at Gettysburg. 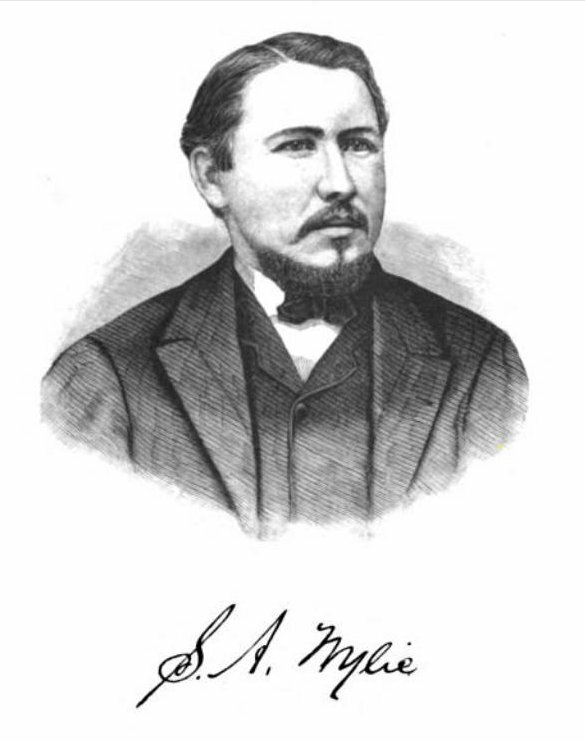 After the war, Roath continued his life in Marietta, serving as Justice of the Peace and in the State Legislature, leading a militia company, and joining various fraternities. 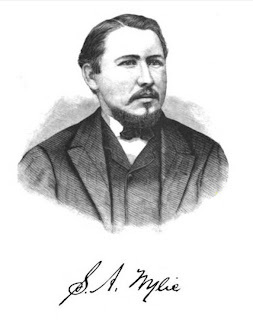 Roath died on September 12, 1907. Now, just over a hundred years later, we are very fortunate to still gain many insights into his life and Civil War experiences through generous descendants and digitized newspapers. 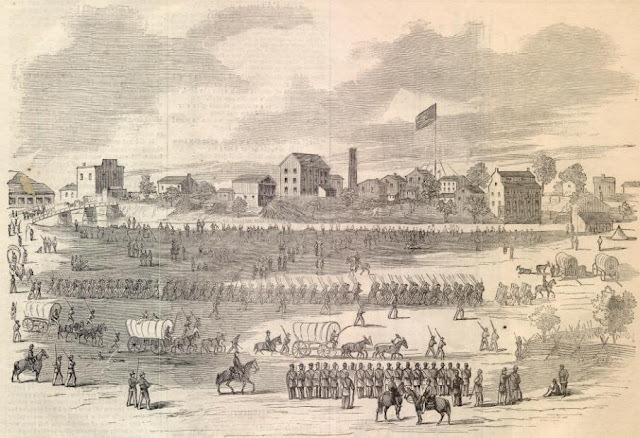 To understand how the typical experienced the Civil War, it is necessary to understand how a Civil War company formed and fought, and this information pulled together about Capt. Roath from various sources help us to do just that. If anyone else is interested in or research Capt. Roath, please feel free to post in the comments here, or send me an email, and I'll happily pass anything on to John Mulcahy. There are many fascinating avenues of investigation about Capt. Roath and his life before, during, and after the Civil War, so any additional information would be eagerly received. Seeing a post today by Craig Swain on the actions of the U.S. Signal Corps jostled my memory to remind me that there was a letter about telegraph operations in the Daily Evening Express from June 1862. 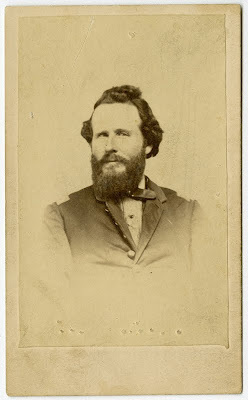 Parker Spring, a resident of Lancaster, had the exciting role of superintending construction of the United States Military Telegraph for General McClellan during the Peninsula Campaign. 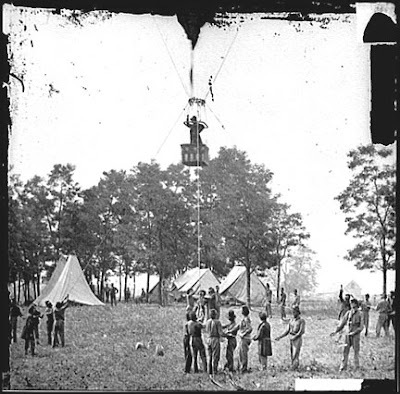 His most interesting moment might have been running a telegraph wire to Prof. Thaddeus Lowe in his observation balloon. Here's his letter, which appeared in the June 10, 1862, Daily Evening Express (alternate link). Note that this letter was also excerpted in the New York Times and various other papers. 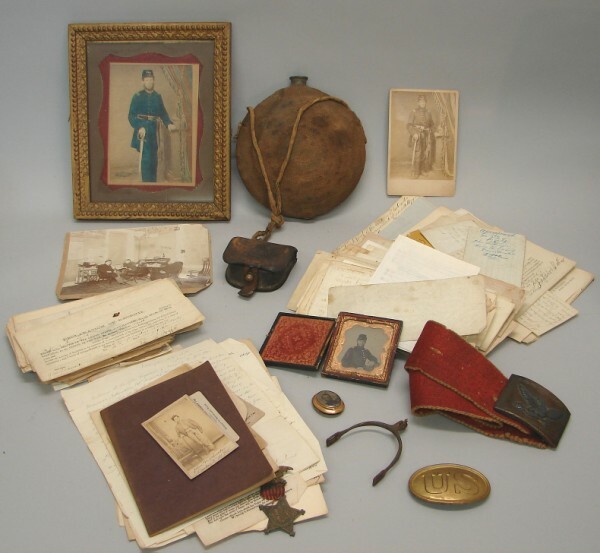 Although my research on this site primarily relies upon soldiers' accounts published in period newspapers (and occasionally something from the Lancaster County Historical Society), documents and photographs in the hands of private collectors can also play a very important role in telling Civil War stories. Furthermore, they give a little bit of thrill and tragedy to Civil War research, as you never know what's going to pop up next...and what happens to it after someone buys it. CDV of Sgt. Major Adam C. Reinoehl. Heritage Auctions, 2008. Valedictorian of F&M's Class of 1861, Reinoehl wrote a series of twenty or so very interesting letters from Union operations in South Carolina in 1862-3 and then in Virginia in 1864. Wounded in the assault on Battery Wagner, I believe this photograph was taken while he recovered from his wound in Lancaster. See more information in this post I wrote about him back in January. Diary of Capt. Emanuel D. Roath, Company E, 107th Pennsylvania. Cowan's Auctions, June 2011. Perhaps the most prominent Civil War soldier from Marietta, Lancaster County, Roath frequently wrote about a dozen or so letters to the Weekly Mariettian. Civil War Grouping of Capt. William D. Reitzel, Company G, 2nd Pennsylvania Reserves. Alderfer Auctions, March 2010. 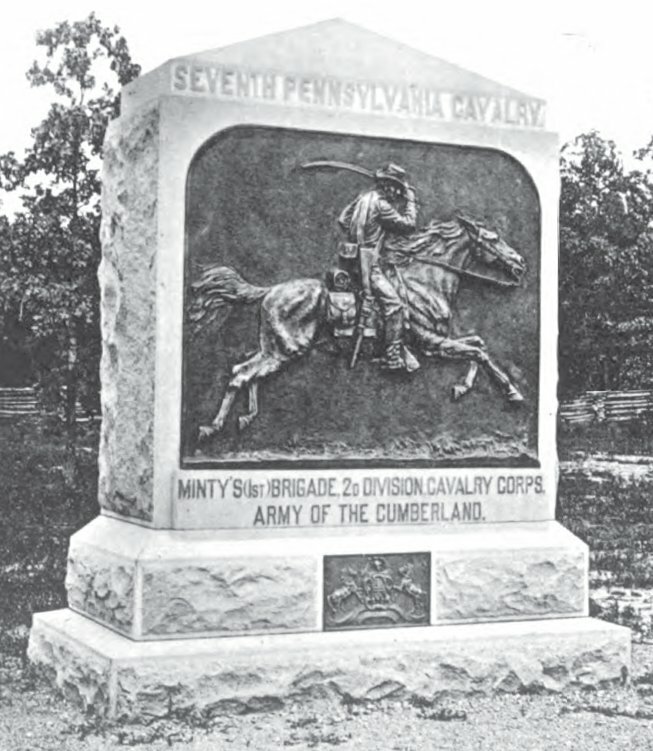 Reitzel recruited a company out of Landisville that joined up with the Pennsylvania Reserves as a replacement company in July 1862. He corresponded occasionally with the Lancaster Daily Inquirer. 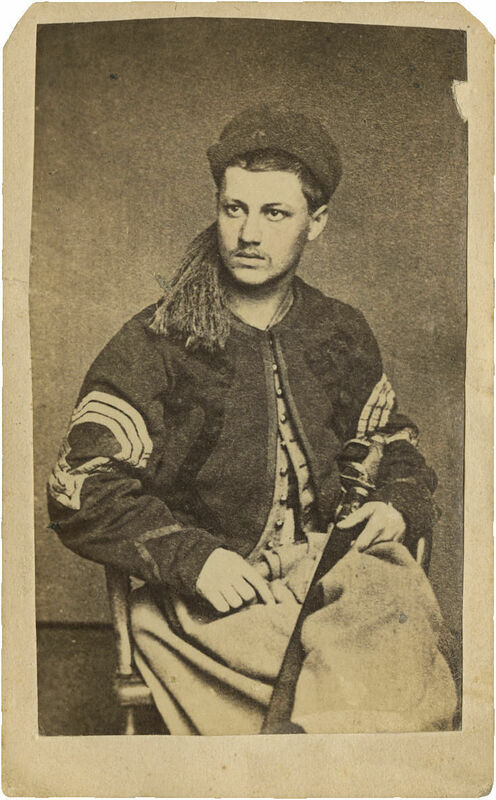 I'm not as concerned about the Reinoehl CDV, as it can be downloaded from the website and duplicates might exist, but not getting to read the Roath or Reitzel diaries, or getting to see the pictures clearly, really eats at me. If anyone has information about the fate of these primary sources, please let me know.